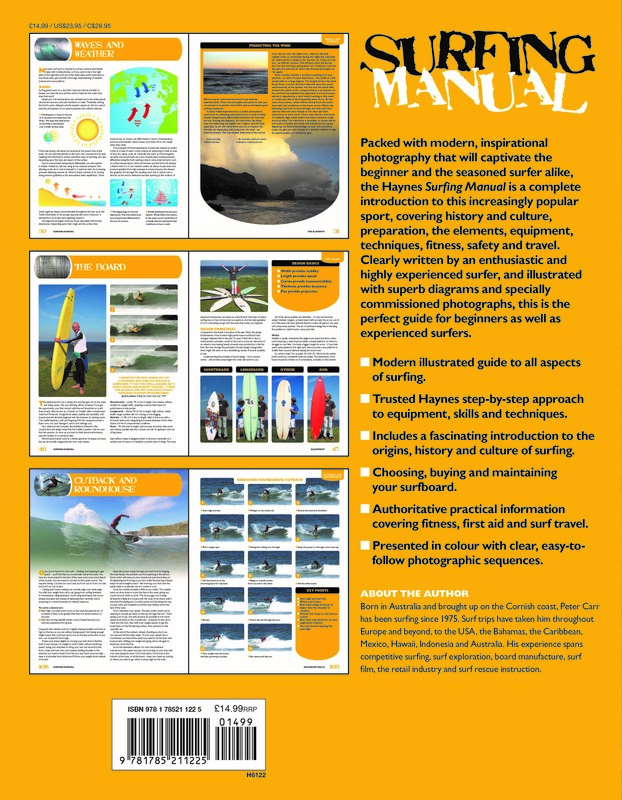 The Haynes Surfing Manual is a complete introduction to this increasingly popular sport, covering history and culture, preparation, equipment, techniques, fitness, safety and travel. Clearly written by an enthusiastic and highly experienced surfer, and illustrated with superb diagrams and specially commissioned photographs, this is the perfect guide for anyone just beginning to surf as well as those who have already 'got up'. Author: Born in Australia and brought up on the Cornish coast, Peter Carr has been surfing since 1975. Surf trips have taken him throughout Europe and the Canaries, the USA, Bahamas, the Caribbean, Mexico, Hawaii, Indonesia and Australia, and his experience spans competitive surfing, surf exploration, board manufacture, surf film, the retail industry and surf rescue instruction.